The villa was very good overall. When downstair is used for sleeping the air condition is not optimal since the outlet is placed in the bedroom upstairs. The kitchen was well equipped but a better frying pan could have been good. It was not obvious how it worked with clean towels, we were there a week but it was never communicated if they were automatically switched or not. A lady came and changed them once. Parking was perfect. 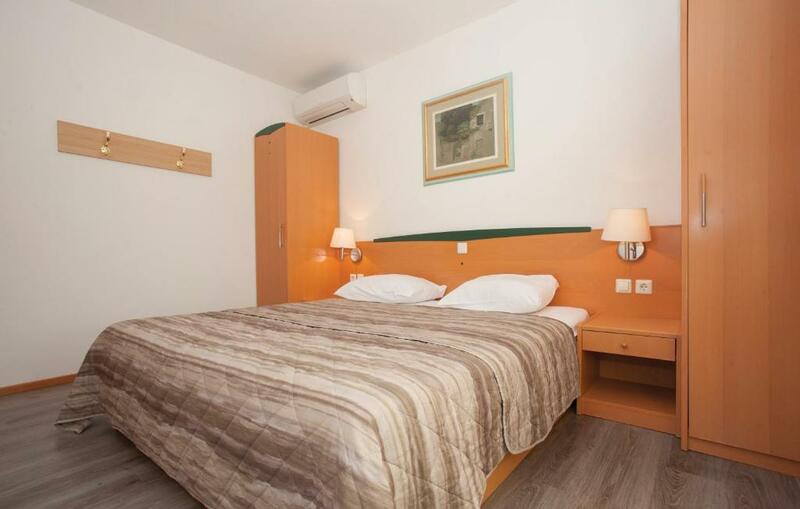 Very good access to hotel facilities and very close to the beach. Lokacija apartmana je odlična, blizu plaže i svih sadržaja. Apartman je bio čist, a osoblje ljubazno i uslužno. Będąc w Villa Corinthia wszędzie było bardzo blisko i otaczała nas piękna zieleń! Super ogród wyposażony w grille i miejsca do siedzenia! Mi è piaciuta la location. Peccato la villetta da noi presa in affitto fosse sulla strada. Położenie obiektu bardzo dobre. Pomimo bliskości plaży na terenie ośrodka panuje cisza i wrażenie prywatności. Przyjemny, zacieniony taras. Apartament dobrze wyposażony, Kuchnia wygodna, sypialnia super. Bliskość sklepów spożywczych i restauracji. Lock in a great price for Villa Corinthia – rated 8.3 by recent guests! Villa Corinthia This rating is a reflection of how the property compares to the industry standard when it comes to price, facilities and services available. It's based on a self-evaluation by the property. Use this rating to help choose your stay! These are 10 independent villas, each housing 2 well-furnished apartments for 2 to 4 guests, in the picturesque town of Baska on the island of Krk. Guests benefit from free use of the swimming pools and fitness area at the Hotel Corinthia. The 1.2 mi long Vela Plaža Beach and town center are just 350 feet away. The apartments consist of a bedroom with a double bed, a living room which can accommodate 2 more people, a bathroom and a kitchen. Every apartment has a balcony or a terrace. Baska, the pearl of the Croatian Adriatic, is just a few hours away from big European cities and features the oldest monument of Croatian culture, the 900-years old Bascanska ploca. The city looks back upon a long tradition in tourism and enchants with a scenic natural environment and deep blue sea. Local busses stop just 2,650 feet from Villas Corinthia. This property also has one of the top-rated locations in Baška! Guests are happier about it compared to other properties in the area. 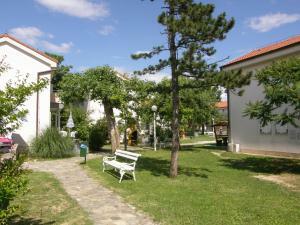 뀐 Located in the top-rated area in Baška, this property has an excellent location score of 9.4! When would you like to stay at Villa Corinthia? Charming apartments, 174 ft² big, specially designed to provide a comfortable accommodations for maximum 4 people. The two-floor apartments dispose of 1 bedroom and a living area with a sofa bed for 2 people, well-equipped kitchen and a bathroom with a bath tub. All apartments are air-conditioned, equipped with TV, free Wi-Fi and safe. There is a balcony and a terrace. Every apartment has its own little garden, making Villa Corinthia even more desirable. Please note that the apartment and bed type will be allocated at check-in according to availability. Guests may be asked to change apartments during the stay, and apartment types may vary. House Rules Villa Corinthia takes special requests – add in the next step! Villa Corinthia accepts these cards and reserves the right to temporarily hold an amount prior to arrival. Please note that check-in is made at Stjepana Radića Street 26. Value for the money is discutable - depends on what you are expecting. If you are looking for modern appartment with all equipment in the kitchen look somewhere else. BUT if you look for double floor space where you take your family (we have been there 2+3) and you are OK just with cooker and you prefere perfect location with beach, pool and promenade on your doorstep dont look any further! The apartments are old, not well-equiped, doesnt feel clean even if they (hopefully) were..quite unfriendly stuff and complicated reception..
Bathroom and A/C are only on upper floor. Furniture and utilitues are outdated. Very unfriendly staff. Wifi is slow and not available inside the villa. Beach is too crowded. Price is way too high for such property. It's close to the beach and mostly in shade. Overpriced for basic acommodation,in booking description it was mentioned to pick up keys on another adress and at the end we had to collect them next to apartment.